Did Someone Say 14 Types Of Wholesale Haribo Gummy Candy? Yes, Please! 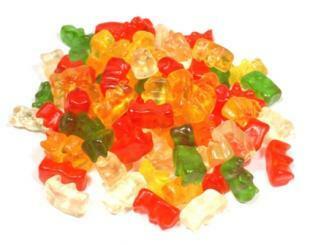 Haribo gummy bears are the first gummy bears ever made. These colorful gummies are simply fun looking, fun to chew, and absolutely bursting with flavors. We’ve all heard of the adage: “For good health, eat five servings of fruits and vegetables a day”. But, it’s not always easy or convenient to eat fresh fruit. When we are in a hurry, on the go, traveling, etc., having fresh fruit around and consuming it can be challenging. For instance, as you’re driving your car for hours and you want something yummy that’s going to give you an energy and vitamin boost – can you really enjoy a juicy pear, kiwi, or another fruit that you know would be so good for you? Introducing new and exciting products is essential for your wholesale business and will keep you competitive in today’s candy market. Have you enhanced the bulk section of your store with the wholesale delightful gummy bears that are also individually wrapped? If you haven’t yet, join the delectable lineup of the popular gummy, which recently got even better with its own wrapper! The year 1875 is extremely significant because - milk chocolate was invented! We owe it to Daniel Peter, who already had a career as a candle-maker, but thankfully got sidetracked by the introduction of the oil lamp in the 1860s.